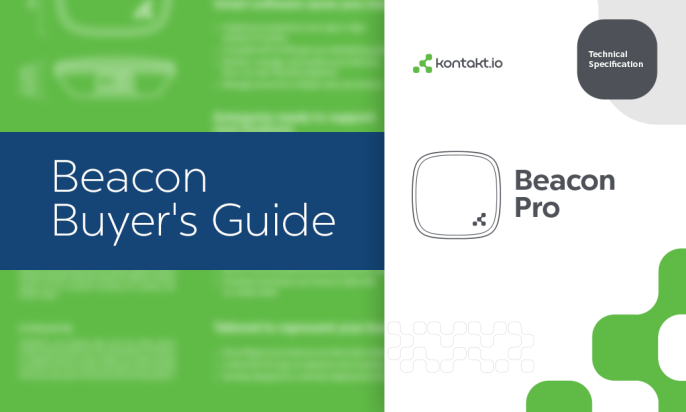 Beacon Buyer’s Guide: Let’s Buy Beacons (Better)! If you’re buying Bluetooth beacons, you’re probably pretty overwhelmed by now. Let’s break it down so we can buy beacons better. There’s a myriad questions to answer before you buy beacons. Everything from the physical hardware to battery life to add-ons for your use case must be carefully weighed. But the process should be exciting, not exhausting. That’s why we’re going to break it down into small, bite-sized pieces to help you on your journey. We’ll begin with the basics, key components, and then common terminology used in specs. This should help you evaluate your options and have a better idea of what to expect. Before we get into the details of how you buy beacons, it’s crucial to understand the technology. Luckily, it’s surprisingly simple. The actual beacon hardware does very little and includes only a few key components. A beacon is like a lighthouse. It repeatedly transmits the same signal (unless it’s changed by the owner) to surrounding Bluetooth-enabled devices. This is oftentimes a smartphone, but it can also be a beacon-specific device like a Gateway (more on that later). The signal is transmitted multiple times each second and picked up by devices in the surrounding area. How large this area is depends on the beacon settings and physical environment. Read more here. So, if you buy beacons, crack one open, and take a poke around you’ll find three basic components: a CPU, radio, and batteries. This can be a little surprising for new users. Even though the technology overall is incredibly cutting-edge and popular, it’s made of rather simple bits and pieces. The secret is when you combine the beacon hardware with good software and apps. On top of these components, you may also find hardware to enable USB support as well as sensors like accelerometers, or temperature sensors. Really, exactly what’s inside depends on you and the beacons you choose to buy. There will always be minor (or even major) differences between any given beacons. One of the largest differences is actually the services provided in relation to those beacons. Are you buying beacons from a cheap manufacturer who only sells hardware and doesn’t offer so much as a phone number for support? Or are you buying from a solution provider who already has everything set and ready to go? Which of these is best for you depends on your team and needs. You’ll also notice smaller differences between beacon hardwares. This will largely impact the way they work on a daily basis, how stable they are over time, and their longevity. Power: There are several kinds of batteries used to power beacons. Most commonly, you’ll find Lithium ion chip cell batteries in your beacon. However, you can also find beacons using common AA batteries or even USB power. Exactly which one you need depends on your particular use case. Moreover, not all chip battery beacons are the same. You should always check out the expected battery life and also determine whether you need something stable like USB (and whether you can support any and all cords!). Sensors: This is where beacons can get really interesting. Need to know when your beacons are mobile? Or make them power down when it’s dark outside? There are plenty of cool add-ons for your beacons to choose from. 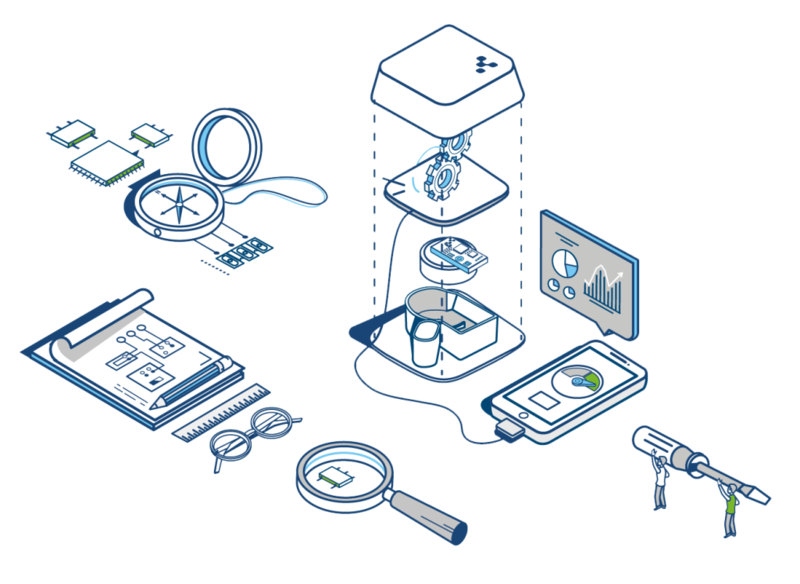 NFC or RFID are great options for making your beacons work with existing systems or for using multiple technologies at once. Accelerometers and other environmental sensors can power brand new use cases within your business. Suggestion: It’s important to consider whether you actually need and can use these add-ons. Buying beacons with extra capabilities just “because” could lead to mess and an excess of data or features to deal with. Choose to buy beacons with sensors that support your real needs. Casing: Will your beacon be out in the snow? Beacon hardware is made to withstand the basic elements, but, if you’re buying beacons to mount on trucks or rugged warehouses, you’ll need a little more. Some beacons are assembled using sturdier plastic and chemical closing, making them more ready for rugged terrain. In short: if your beacons are going in a usual, indoor location, the average beacon hardware should be sturdy enough. If you’re looking into environments that are more complicated, be sure to keep the physical hardware in mind when buying beacons. How much should they cost? Where are they manufactured? So many questions! Where do you buy beacons? From your local hardware store? Probably not, but that’s a growing possibility these days. In reality, most people buy beacon hardware from popular manufacturers either straight from the web or through a sales team or solution provider, depending on the complexity of the use case or the quantity of beacons required. How much should your beacon cost? This is one topic of growing importance in the beacon space. As the technology becomes more popular, a growing number of companies are looking to play with it. For this reason, ultra cheap beacon hardware is becoming more common. This can be good for businesses who want to get to know the technology or are just curious what a beacon even looks like. A beacon is likely to cost anywhere from $5-25, and the associated quality and capabilities will also vary. In order to understand what makes a beacon cost more or less, we can consider the earlier question of “what services does your manufacturer provide.” Do you require absolutely no input from the beacon manufacturer or solution provider? Does it not really matter that you have customer support? Cheaper beacons come with not only cheaper components and production value but also a decreased amount of support. On the other hand, the higher prices should come with hardware as well as support. If you’re buying beacons that are expensive and not receiving any support, there may be a problem. For any sort of commercial deployment, knowing that you can ring up related companies for help is crucial. Cheap beacons come with none of these safety nets in place. Even for the experienced buyer, reading beacon specs can be exhausting. Here are the basics to help you buy beacons without getting a headache. Battery life Most beacons start with an 18-24 month battery life. However, if they use lesser batteries or offer added capabilities (which requires more energy) 6-8 months is also common. Thanks to energy-saving capabilities, some beacons can last over 5 years. Interval This refers to how often the beacon will transmit a message. This is often measured in milliseconds (ms). Apple recommends a 100 ms interval, but this is not required and may or may not be necessary for you. Supported format The format simply refers to the protocol used. Do you need to buy beacons with Eddystone or iBeacon? Don’t worry! Most beacons these days will support both. However, some cheaper beacon hardware will only support one. In such cases, it’s crucial to carefully weigh both formats beforehand. Tx power Transmission Power describes the strength of the signal, or how far the beacon will transmit its data. Many beacons reach up to 50-90 meters, though some will have far shorter range. You can change the power actually used after buying the beacons, so it’s important only to know the inherent capabilities of the beacon itself. Once you know what you need, it’s time to ring up your manufacturer or rope in your solution provider and get started. Check out our store to peruse and buy the best beacons around!